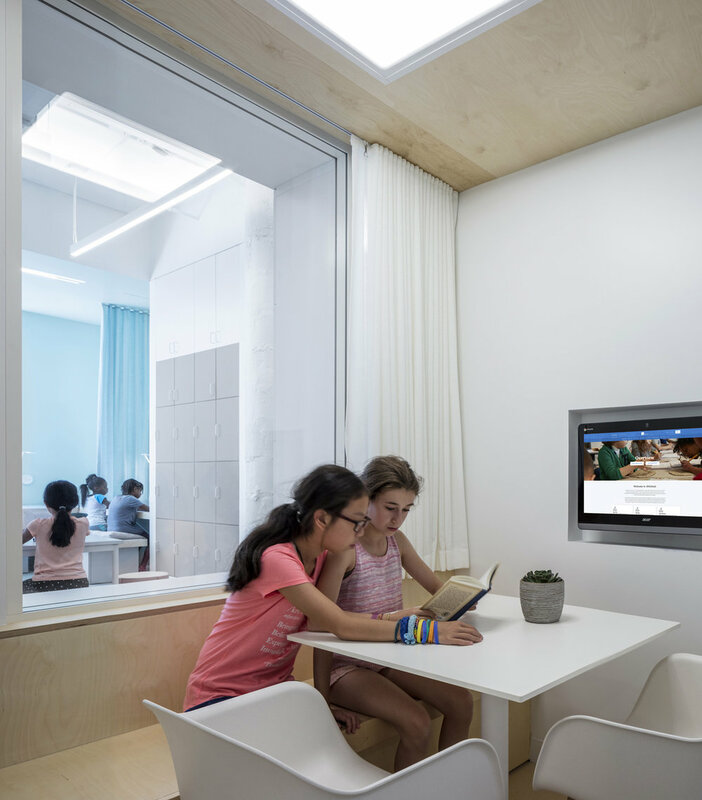 AltSchool is an educational startup that was founded in 2014 with locations in New York and San Francisco. Its teaching methodology is intended to respond to individual student's needs and integrate technology into their course structure. Architecture + Information (A+I) therefore designed the interiors to accommodate these requirements. At the centre of the school is the Agora – a stepped seating area that allows all the students to gather for presentations or events. The blue structure also integrates small nooks in which children can spend time alone. Off this space is the Design Lab, an open-ended area with movable tables and chairs.